Winters in Wyoming are long and harsh. But even during mid-winter, there can be a warm day with the sun shining and little wind. 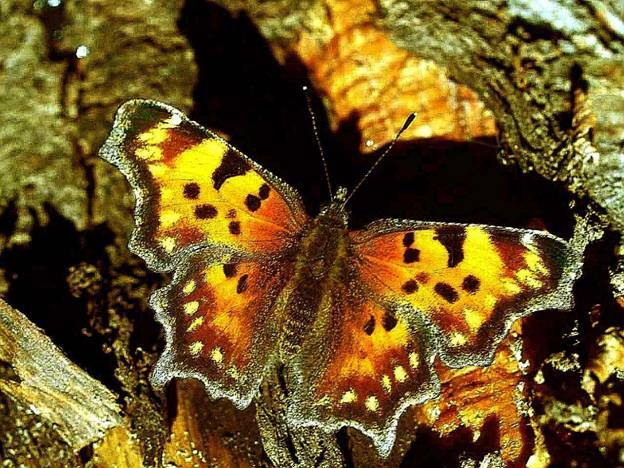 The Angle Wing Butterfly (Polygonia faunus hylas) overwinters as an adult butterfly. When it is not hibernating it may come out and fly even when snow is on the ground. The caterpillar feeds during the short summer months. Angle Wing Butterfly Photo by John Nordin, 14 September 2008, Green Rock picnic ground west of Laramie, elevation 9800 ft. The 1.5 inch-sized butterfly spreads its wings in the sunlight while feeding on sap oozing from a pine tree on a chilly morning. The Chryxus Arctic (Oeneis chryxus) takes two years to complete its life cycle. 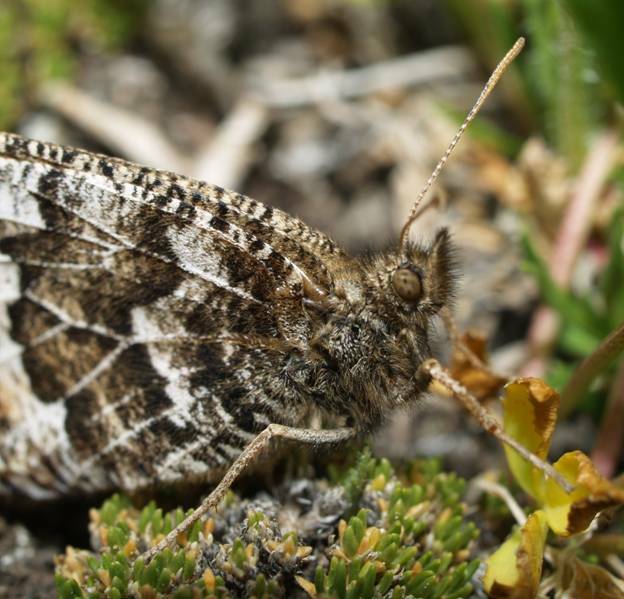 The butterfly overwinters as a caterpillar during two winters, eventually pupating and emerging as an adult butterfly during the second year. The caterpillar produces a special antifreeze to keep ice crystals from forming within its body during the winter, where temperatures can drop to less than -40oF at 10000 foot elevation where it lives. Chryxus photo by John Nordin, 20 July 2008, Snowy Range Pass, Elevation 10800 feet. Butterfly about the size of a half-dollar.